From presentations and discussion panels, to sponsoring keynote speakers and winning awards, the 2019 NZPI Conference was a great success for our planning consultants. 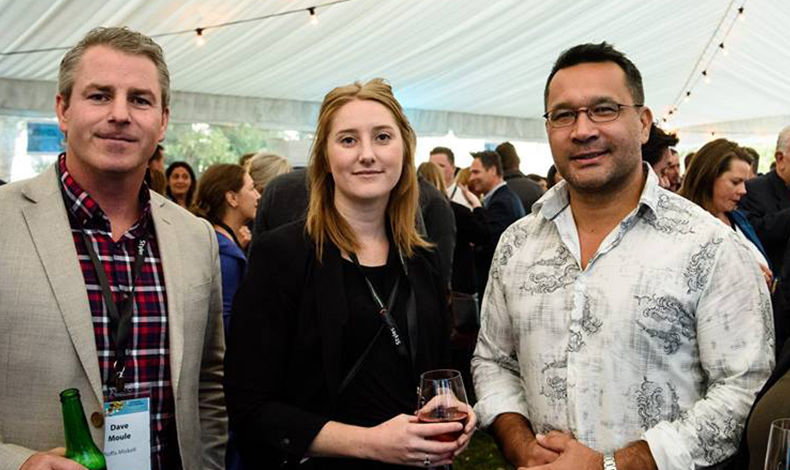 Boffa Miskell hosted the Welcome Function at Mission Estate; and our popular trade stand showcased the interactive website we developed with Wellington City Council – an innovative geospatial approach to reviewing six pre-1930 Character Areas in Wellington. Technical Services consultants helped create a Virtual Reality experience experience for the booth which was the basis of a competition for conference attendees. Boffa Miskell also sponsored keynote speaker Dr Tahu Kukutai, Professor of Demography at the National Institute of Demographic and Economic Analysis at the University of Waikato. Dr Kukutai specialises in Māori and indigenous demographic research and has written extensively on issues relating to Māori population change, Māori identity and official statistics. Her presentation considered some of major demographic changes facing Te Ao Māori in the context of regional divergence and some of the opportunities for engaging mana whenua in reshaping the regions. Hamilton-based Tania Bryant represents Emerging Planners on the NZPI PAC committee and is also the current Waikato Emerging Planner Representative. Sarah Heritage, from the Auckland office, took part in the The Aotearoa Pacific Practitioners Group (APPG) presentation. “As we were part of the ‘From Theory to Practice’ stream, we shared our process to date from exploring the theory of ‘The Pacific Way’ and how we are looking to turn this into Pacific Planning Principles that can be adopted in everyday planning practice,” Sarah explains. Wellington-based urban planner Marc Baily joined Graeme Campbell (Wellington City Council) and Judy Lawrence (Victoria University) to present “Opportunities Arising from Climate Change”. In addition to the discussion panel with Tania Bryant and introducing Dr Tahu Kukutai, Dave Moule also presented ‘Ki te Kapuia, e Kore e Whati: Collaborative Planning with Waikato Tainui’ along with Kaiarataki/ Strategic Advisor Norm Hill, and spoke on behalf of the company at the Welcome Function at Mission Estate. The highlight of the conference was a shared win with our client, Wellington City Council. The Pre-1930 Character Area Review took the Award for Best Practice – Strategic Planning and Guidance.